The value of a currency rises or falls in relation to the forces of demand and supply. 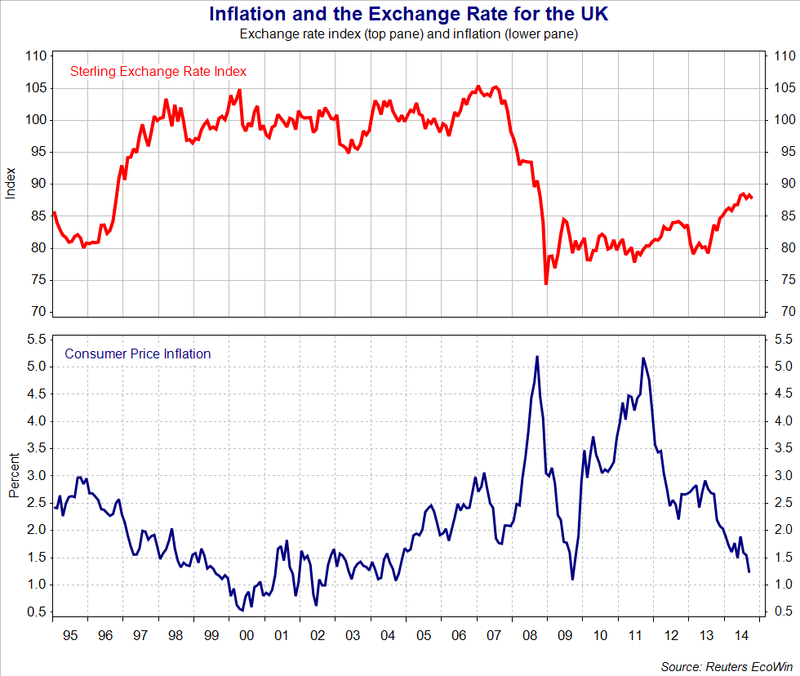 When the demand for a currency exceeds the available supply, the value of the currency tends to rise. Conversely, when the supply of a currency exceeds the available demand, the value of the currency tends to fall. 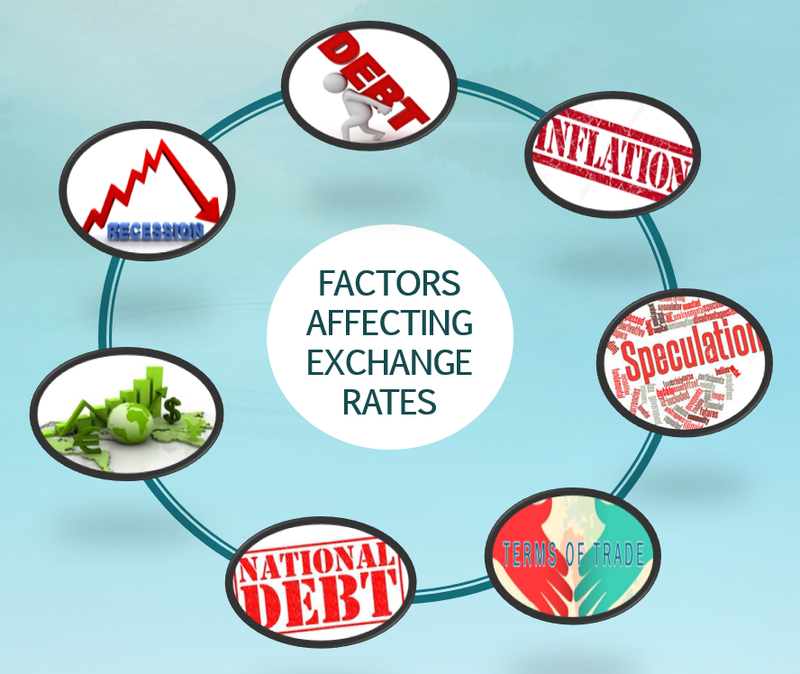 Let ’s look at four of the most important factors that cause prices of currencies to fluctuate: economic factors, political factors, natural disasters, and speculation. 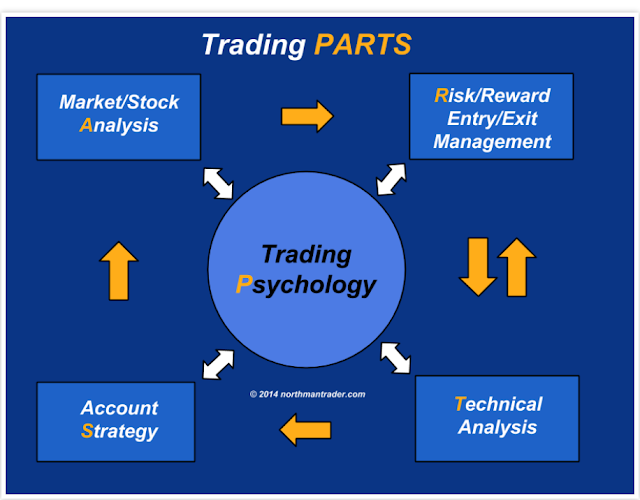 When traders look at economic factors, they are searching for one key word: growth. When growth is non-existent or negative, the value of the country ’s currency tends to fall. This is because the currency is not viewed as attractive or valuable, and traders start selling it. Conversely, when growth is positive, the value of the country ’s currency tends to rise. This is because more traders end up buying the currency. Traders look at several economic factors to gain an idea of how a country is performing. Let ’s take a look at a couple of them. Everyone needs to spend, whether on goods or services. Consumer spending directly affects the money supply of a country, which directly affects the country ’s currency and subsequent exchange rate with other nations. 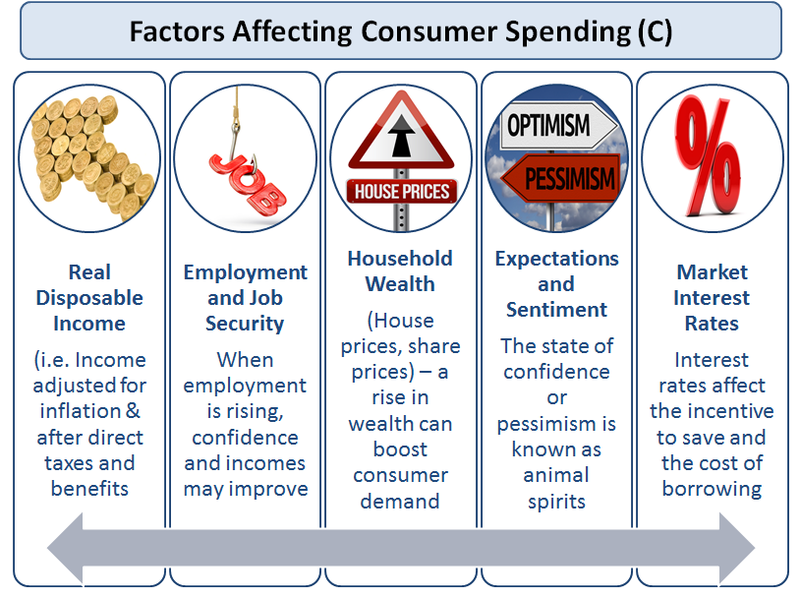 When consumer spending increases, the general health of the economy increases, and subsequent demand for the country ’s currency will lift its value against other currencies. On the flip side, when consumer spending declines, the economy falters and the general sentiment of the currency turns bad. This causes the country ’s currency to fall against other currencies. The current account balance is a measure of how much money is fl owing out of the country compared with how much is fl owing in from foreign sources. If there is a net inflow of funds, the country is said to have a current account surplus. If there is a net outflow of funds, the country is said to have a current account deficit. Continuous records of current account deficits may lead to a natural depreciation of a country ’s currency. This is because money for trade, income, and aid is leaving the country to make payments in a foreign currency. The current account is made up of three components: Current account 5 Trade balance 1 Net income 1 Unilateral transfers The trade balance is simply the total value of exports minus the total value of imports. Net income is defined as the difference between money received and money paid out. It includes salaries, interest payments, and dividends. Unilateral transfers include taxes, foreign aid, and one-way gifts. 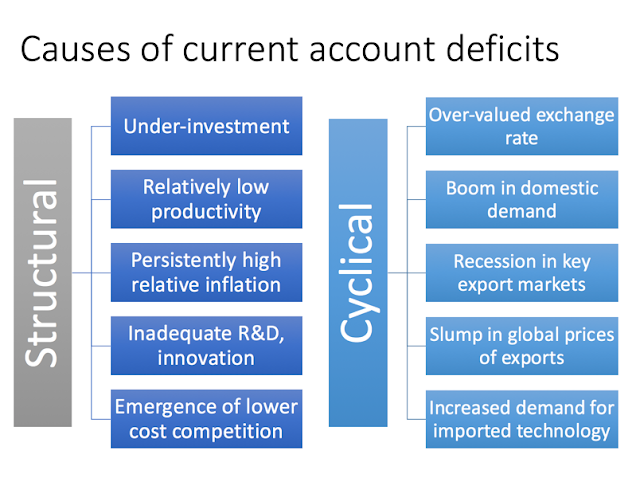 For most countries, the largest component of the current account is generally the trade balance. As an example, the United States has experienced high current account deficits for the last few decades primarily because of its large trade deficit. When a country is mired in a political crisis, demand for its goods and services is affected. These problems would cause foreign capital coming into the country to cease and also cause foreign capital to leave the country. The combined effect leaves the home currency weaker against other currencies. An upcoming election can also have a big impact on a country ’s currency. 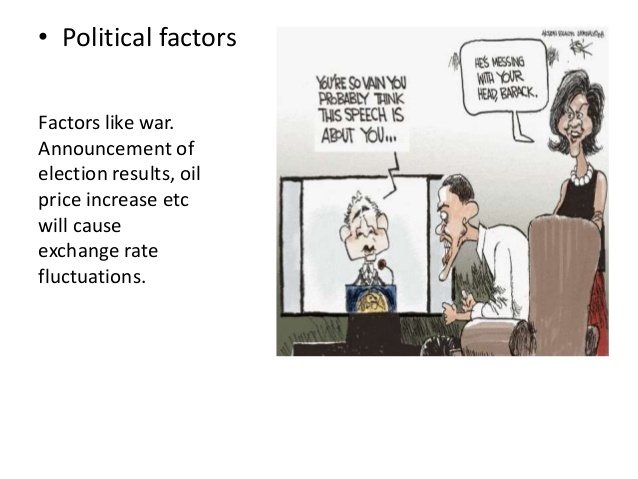 Traders typically view elections as events that give rise to potential political instability and uncertainty, which equates to greater volatility in the currency. This effect is more strongly felt when governments change hands. A new government often signifies a change in ideology and management, which translates to new rules, new laws, and new policies that ultimately will affect the value of the currency The change in the currency value could be either positive or negative. Political parties that make a stand on promoting economic growth and reining in high government debt levels tend to boost a currency ’s value. 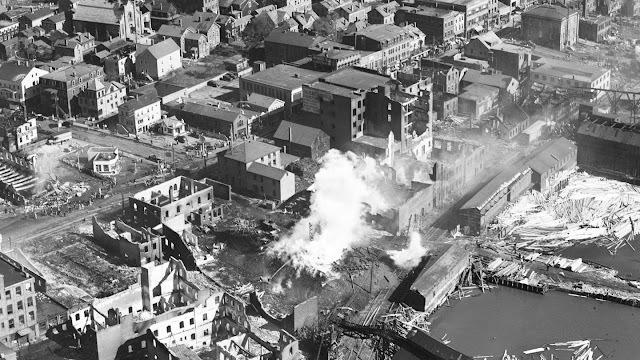 Natural disasters, such as earthquakes, tornadoes, and floods, can bring about devastating effects to a country. Loss of life, damaged infrastructure, and abrupt changes to daily living all have a negative impact on the nation ’s currency. Economic output will also be severely affected because of the damage caused. Money that could have otherwise been used to drive economic initiatives is now channeled towards rebuilding supply chains and infrastructure. 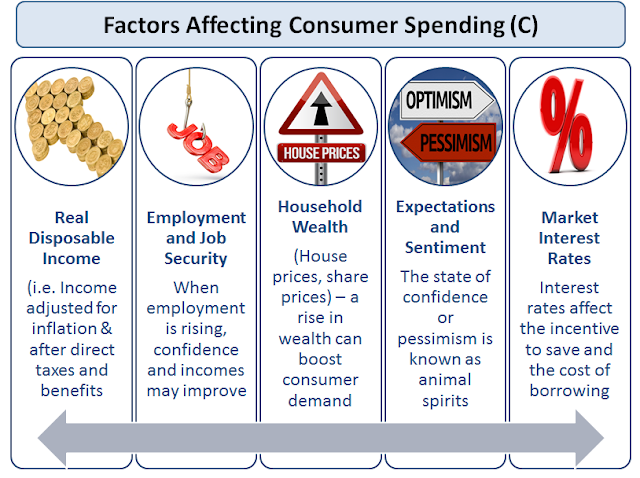 The problem is further compounded by a decrease in consumer spending and loss of consumer and investor confidence. Ironically, other nations may benefit from the tragedy because of a jump in import orders from the disaster-stricken nation. All of these factors combined take a toll on the currency of the nation. 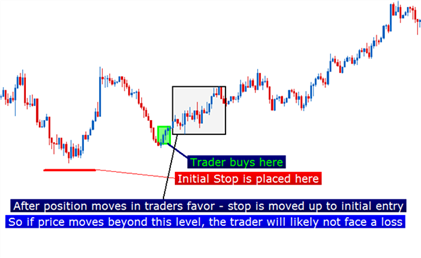 Speculators trade the forex market purely for profi t. There are basically two categories of speculators in the market: retail traders and hedge funds. On average, more than 90% of the daily trading volume in the forex market is speculative in nature. Speculative moves are sometimes called “smart money” or “hot money” because these moves are the fi rst to move in and out of countries. As an example, if speculators believe that a country ’s economy has expanded too much and is in danger of overheating, they may get out of the currency in anticipation of cooling measures by the government. This would cause more supply than demand for the currency, causing it to depreciate. One of the world ’s most remembered speculative plays on the forex market happened on September 16, 1992, also known as Black Wednesday. On that fateful day, currency speculator George Soros bet heavily against the pound and made USD1 billion in the process. Two weeks prior to Black Wednesday, currency speculators, including Soros, sold billions of pounds, hoping to buy them back cheaply and profit on the difference. The British government decided to intervene by hiking interests rates to 12%. The Treasury also tried to prop up the pound by spending £27 billion of reserves. However, the government measures were all but futile. On the evening of September 16, the British Conservative government announced its exit from the European exchange rate mechanism (ERM) conceding defeat that it could not hold the British pound/ Deutsche mark fl oor of 2.778. Within a few hours of the announcement, the pound tumbled 3% and was down more than 12% within three weeks. In 1997, the UK Treasury estimated the cost of Black Wednesday to be GBP3.4 billion.